Historic maps lovers rejoice! 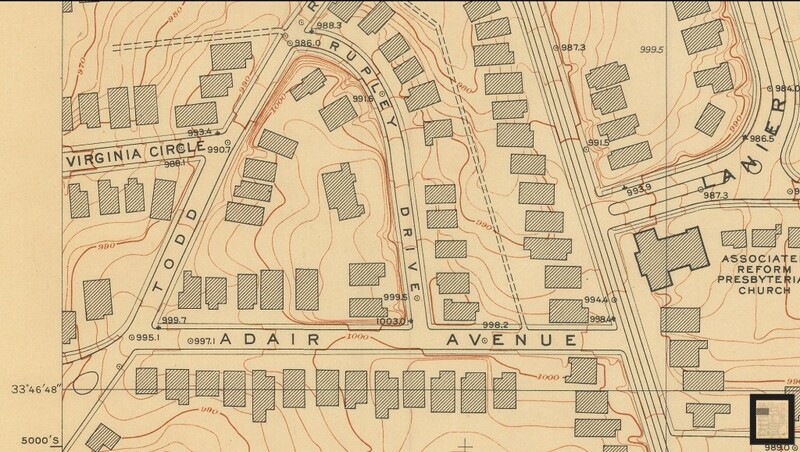 A 1928 detailed topographic survey of Atlanta is now available online and includes Virginia-Highland roughly from Inman School on south. Our new Historic Maps page provides you the links. 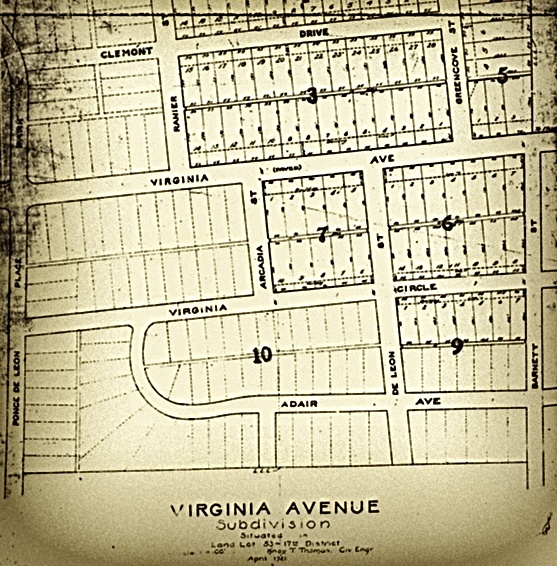 For future reference, the Historic Maps page is linked from our site’s menu under “Planning/Variances” and then “Preservation/History”, as well as from the A-Z index. 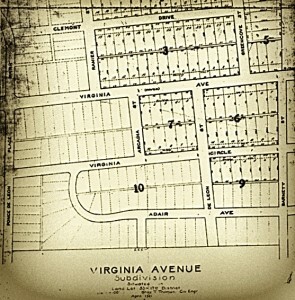 The new page also links you to our amazing collection of original plat maps from the era that VaHi’s subdivisions were built; the 1949 aerial survey; and the 1911 and 1920 Sanborn fire maps. For those with an interest in Atlanta’s history before VaHi existed, an entire 1878 city atlas was also recently made available online. We can also direct you to the full resolution version of the beautiful 1871 “bird’s eye view” illustration of Atlanta. 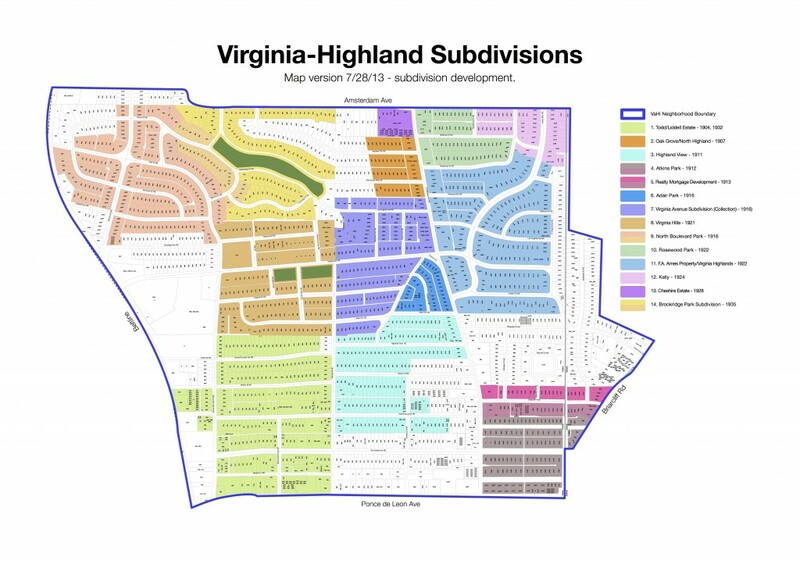 Local businesses in Virginia-Highland have worked together with others in Morningside, Poncey-Highland, Inman Park, and the Old Fourth Ward to produce a foldable, glossy, paper map of the “Highland Corridor”, which is now being distributed at local businesses. Google map of businesses listed on the map – perfect for using on your smartphone or tablet. Following on the heels of the very successful Virginia-Highland marketing pieces that were produced for the businesses as late as 2006, there was a void when the business association failed to maintain itself through organization of its members. The business leaders who were a part of it realized how much time and effort it took to market the area and run their own businesses too. To The Trade Only offered to collect a small amount of money from each of the business owners, organize the group into a workable marketing plan and get the maps printed and distributed to over 76 hotels, B&B’s, the Georgia Department of Economic Development, CNN Center, Peachtree Center, The Atlanta History Center and other points of public distribution in addition to the businesses on the maps. A Facebook page has been launched, and regular newsletters to the business community are being sent to keep them informed of news that would be relevant to them. The maps are made available to any kind of event for gift bags or just to hand out. This includes weddings, realtors with open houses, etc. As a marketing piece for the neighborhood association, part of the value of it is to make potential buyers and owners aware that the area is not only a desirable place to live, it is rich with resources which make the area attractive to residents as well as tourists. It is To The Trade Only’s hope to continue to work with the local residents and businesses in marketing the area to everyone’s benefit. 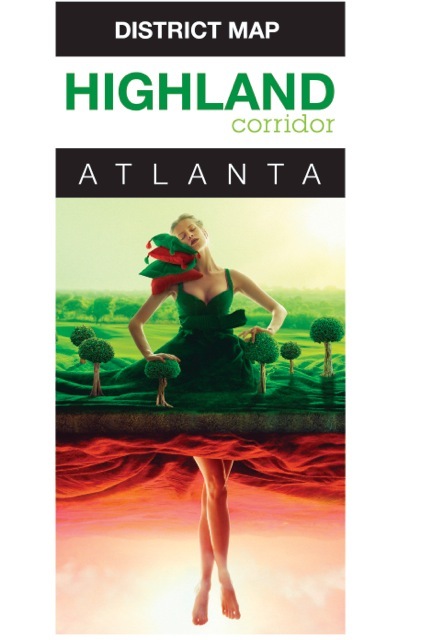 They organized a trade out with Atlanta Intown Magazine and will be seeking out anyone else who has a vested interest in making the Highland Corridor successful on many different levels.